Nothing will stop Martijn Dendooven, a Windows Insider from Belgium, from pursuing his passion for tech. Currently 18 years old, he began teaching himself coding when he was 15 and successfully advocated for adding computer science courses to his high school curriculum. He is dedicated to solving problems through his tech skills, and he’s currently working on a project that will help teachers more easily manage the audio-visual system at his high school auditorium. Rather than ask teachers to connect and disconnect their devices and manage multiple cords and ports, Martijn wanted to create a solution that would enable them to select a device using a simple interface. With the help of Visual Studio, Martijn coded an app and put it on a Raspberry Pi, a tiny, single-board computer. He then booted the Raspberry Pi with Windows 10 IoT Core and connected it to an Arduino microcontroller that would enable an infrared signal to turn on the projection system automatically. 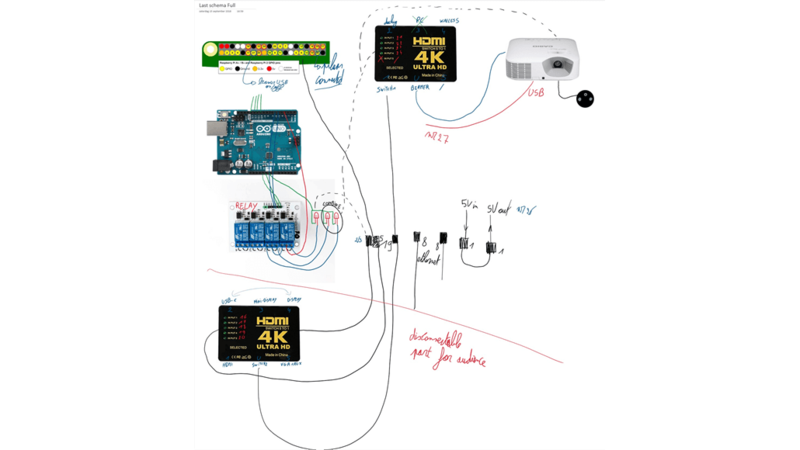 With Martijn’s solution, devices can be connected to the projector via not only a VGA port and the docking station, but also HDMI, (mini) DisplayPort, USB-C, and even Microsoft’s Wireless Display Adapter. He’s still troubleshooting the most ambitious part of his project: deploying a touchscreen that will enable control of the auditorium’s light and sound and that will make the entire user experience as seamless as possible. While Martijn has recently graduated and is now studying industrial engineering in college, he’s still working with his high school to deploy his “smart auditorium” solution. As a Windows Insider, he also completes Quests and helps teachers post their feedback on the Feedback Hub. What are his plans for the future? Editor’s Note: Are you an Insider who gives back through the power of technology? Enter the Insiders In Action: Giving Back contest by January 9, 2019 and you could win Microsoft products and have your story told on our homepage. Not yet an Insider? It’s free and easy to register below.